Tolerance ±1.0 ±1.0 ±1.0 ±0.5 ±0.5 approx. Note: Stable plastic enclosure for panel installation on mounting rails (DIN EN50022). 3. 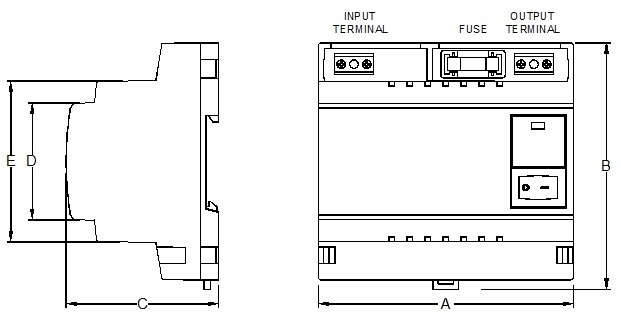 Input and output with screw-type terminals.